Vaping CBD oil is one of the most popular ways to take this versatile supplement. Come and see how vaping CBD turns out in comparison with other consumption methods and if it really deserves the hype it’s getting. There’s more than one way to benefit from the therapeutic effects of CBD. Some people place their CBD oil under the tongue, others like to dab CBD concentrates. There are also CBD users who prefer cannabidiol-infused edibles or capsules. Although each has their benefits — nothing compares to the speed of vaped CBD. For many people with chronic conditions or other illnesses treated with CBD, vaping offers fast and comfortable relief. But, with so many vaping products and accessories on the market, getting started can be one hell of a challenge. Some vendors like to take advantage of novice vapers’ lack of knowledge, selling them overpriced accessories or products that can make them sick. To avoid getting squeezed into a tight space, it’s paramount to learn the basics behind vaping CBD oil. The potential downsides of vaping CBD oil. Because it’s the quickest and the most effective way to deliver CBD to your system. There are several CBD formats you can vape including dry flowers, concentrates, isolates, and oils. Yes, but not every CBD oil can be consumed with the intent to vape. Some CBD oil products are too thick to be vaped, while others are designed exclusively for vaporization but shouldn’t be ingested orally. There’s also the third type, which you can either eat or vaporize. Let’s learn the do’s and don’ts behind certain types of CBD oil. Not All CBD Oils Are The Same: Which Ones Can I Vape? CBD oil is an ingestible form of cannabidiol that has been designed to be used sublingually (beneath the tongue) for improved absorption and faster effects. CBD oil can be obtained by extracting CBD from the hemp or marijuana plant. There are two common ways to do it — alcohol and CO2 extraction. CO2 extraction produces pure and more potent extracts with a broad spectrum of cannabinoids. Those extracts are then contained in a carrier oil and placed in a bottle with a dropper for precise dosing. 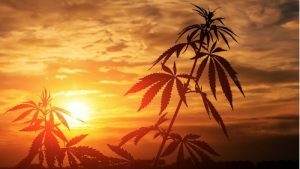 When buying CBD oil, it’s important to find a reputable vendor who cares about its customers from more than just a business perspective and brings the top-notch quality of CBD to the table. On top of using CBD oil sublingually, you can add it to your food if its natural taste proves too much to handle. But can you vape CBD oil? Not if you don’t want to send your vape pen straight to heaven or get sick for the rest of the day. CBD oils typically use some kind of food-grade oil like olive oil, hemp seed oil, or coconut oil so that your body can absorb and digest it efficiently. Food-grade oils cannot be vaped — if you tried, you would have a really, really bad day. CBD vape oil, also known as “CBD E-liquid”, is a product that’s been manufactured specifically for vaping purposes. Vape oils are usually made with glycerine, propylene glycol, and a CBD extract. 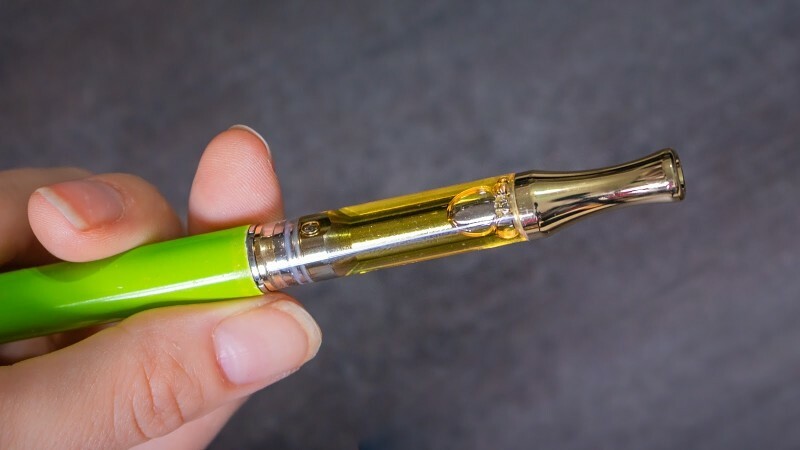 Since the extracted CBD oil is too thick to be consumed in a tank or vape pen, a thinning agent may be added to make it flow easily through such devices. The thinning agent is also responsible for increasing the volume of your CBD vape oil and produce dense vapor clouds on the exhale. The so-called “cheap” CBD vape oils are often made with PEG or PG. Unfortunately, these glycol molecules can break down into carcinogenic compounds when heated, which is why you should steer clear of those compounds. VG is considered one of the best bases for CBD vape oils. There is some evidence that VG can stiffen the soft coverings of the lungs in some users, so as with everything — moderation is key. Check our guide on the best CBD vape oils to make a well-informed purchase decision. Technically speaking, you could ingest CBD vape oils as PEG, PG, and VG are all considered safe and non-toxic by the Food and Drug Administration (FDA). However, this isn’t something we would recommend; there’s a reason why some things are optimized for their respective delivery methods. Cannabis resin oil is an unrefined, highly-concentrated cannabis oil that can be both ingested orally or vaped in a vaporizer. The difference between the resin oil and CBD oil is that the latter contains only CBD (and trace amounts of other cannabinoids), while cannabis resin oil typically has a high concentration of THC and a full range of other cannabinoids. The oil is extracted using ethanol and thus can be applied under the tongue as a tincture. At the same time, it falls into the group of cannabis concentrates, which means it can also be used in a vaporizer (don’t confuse vaporizers with vape pens and tanks). Getting started with vaping CBD oil can be a daunting task with so many products and accessories to choose from. These are the pen-style vapes used for vaping CBD products (vape oils and concentrates). They come equipped with a metal heating coil in the bottom that heats the concentrated CBD placed directly on the vaping coils. Vape pens are great for busy people who need their cannabidiol on the go, but the problem with such devices is that the coil must be replaced from time to time when it burns out. Moreover, heating coils oxidize when broken down due to repeated use, which causes metal nanoparticles to enter your lungs along with the vapor. This is the second style of vape — the one that is known for producing billowing clouds of vapor. Tanks require CBD e-liquid which is then vaporized in a heating coil filled or wrapped in a wick made of cotton, nylon, or silica to absorb the e-liquid into the coils. The term “vaporizer” refers to a portable or tabletop device that has been designed for vaping dry cannabis flowers or concentrates. Contrary to vape tanks and pens, you can’t use a traditional vaporizer to puff CBD vape oils. The main downside to using a vape tank or vape pen to vape CBD is that the maximum dissolution rate of CBD in a vape oil is around 33mg/ml without the addition of alcohols, thinning agents or other chemicals. In simple words, you need nearly 1ml of vape oil to achieve a typical dose of 10mg to 30mg of CBD. This makes you exposed to dangers from metal contaminants and other harsh substance. For example, one puff of a vaporized concentrate is an equivalent of about 20 puffs CBD vape oil. 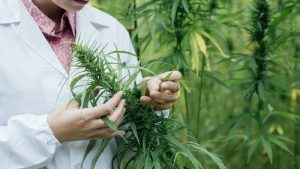 Given this, before you choose vaping CBD oil as your go-to consumption method, make sure to figure out your dosage beforehand to see if the pros outweigh the cons. Just like any products that involve using technology, CBD vapes have their strong and weak points. 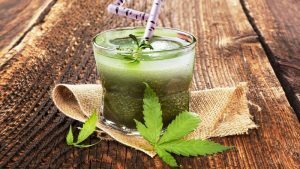 Let’s start with the positive aspects of vaping CBD oil. While all CBD goods serve one purpose — to bring effective and safe relief to your symptoms — not all of the CBD you take will affect your body in the same way. Vaping CBD oil has become popular for some good reasons. Bioavailability is expressed in a certain percentage of CBD that will make it to your bloodstream. The actual efficacy of your CBD product strongly depends on its bioavailability. For example, the bioavailability of CBD edibles and capsules is roughly 4% to 20% (1). Sublingual products offer a bioavailability level of 25% to 35%, which is nice but still far from what you’d want to achieve as a CBD user (2). Vaping CBD oil, on the other hand, ensures that between 34% and 56% of the cannabinoid content will reach your bloodstream (3). This means that you need far less CBD to achieve the desired effect when you vape the cannabidiol instead of using drops or grabbing a CBD-infused edible. When you take a few CBD gummies, you will have to wait for about 30 to 90 minutes until you can feel the effects. They may last longer when consumed this way, but you’re going to end up unsatisfied if you’re in need of instant relief. That’s because edibles must pass through the digestive tract before they reach the bloodstream. Tinctures have a shorter onset time; since they are absorbed into the bloodstream via your mucous glands, it takes around 15 to 20 minutes to experience their effects. But frankly speaking, nothing can beat the vaporized CBD. During vaporization, CBD enters your lungs and gets diffused directly into the bloodstream. This helps users avoid the so-called “first-pass effect” so that they can get alleviate their ailments almost instantly after inhaling the oil. 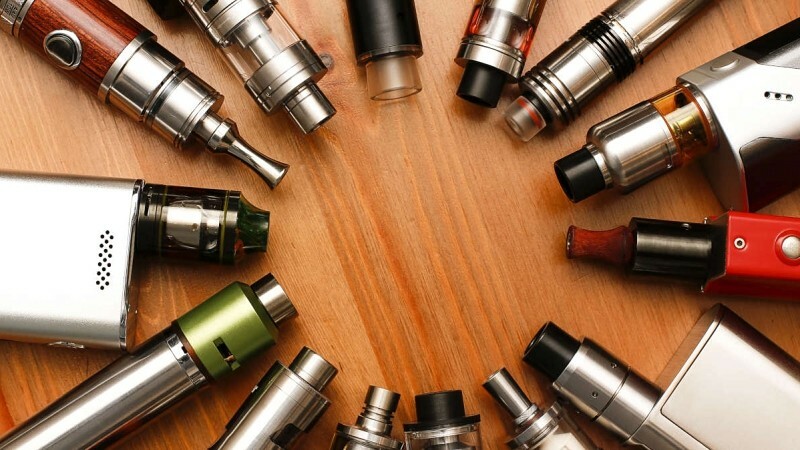 The majority of vaping devices are compact, some of which can easily fit into your pockets. Unless, of course, you’re planning to buy a desktop unit. But more to the point, vaping CBD oil provides users with the ultimate level of convenience. All you need to do is load the device, select the desired temperature, heat your oil up, and inhale — simple as that. CBD vapes are also fairly easy to dose and they help you keep your CBD routine low-profile. 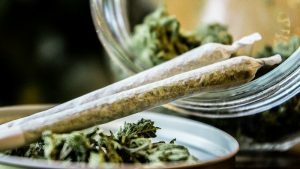 Some people enjoy smoking cannabis and the availability of high-CBD strains automatically makes smoking their go-to consumption method. Alas, smoking CBD — just as smoking anything — isn’t the healthiest way to benefit from this compound. The smoke from burnt plant material is harsh on the throat and lungs, damaging their tissues over time. Smoking CBD also delivers harmful carcinogens to your body increasing the risk of tumors and cancer. And finally, combustion destroys plenty of cannabinoids the moment you spark the joint up, let alone the other 25% going away with the smoke when you’re not inhaling. Vaporization keeps the above dangers at bay, as vaping CBD oil only heats it to certain temperatures so that the therapeutic cannabinoids and terpenes are effectively released into vapor. There’s no smoke, no cancer-inducing agents — and in comparison — only minor damage to the lungs over time. Vaping CBD beats smoking all the way. What Are the Downsides of Vaping CBD Oil? A small number of individuals can be allergic to some of the chemicals used in vapes. 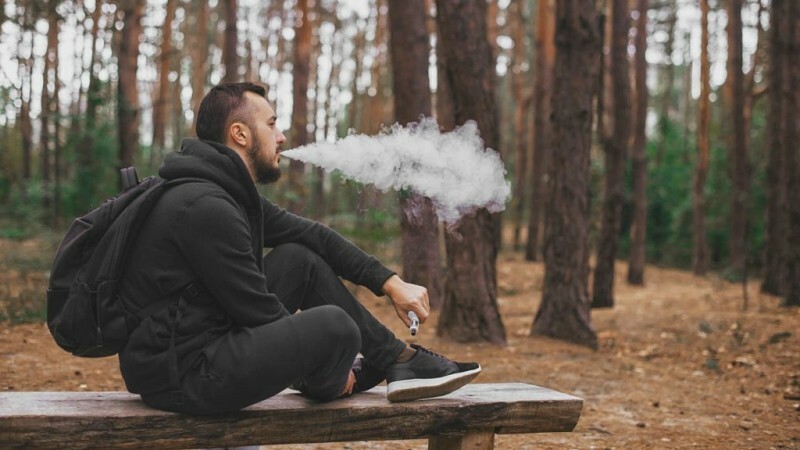 Research shows that products designed for vaping can contain dangerous contaminants that may enter the lungs in the vapor, which is another concern among new vapers. Let’s have a look at the possible drawbacks to vaping CBD oil. Vape pens come equipped with a heating coil that is typically made of stainless steel, titanium, Kanthal, pure nickel wire, or a nickel-chromium alloy. “overall exposure to metals from electronic cigarette use is not expected to be of significant health concern for smokers switching to electronic cigarette use, but is an unnecessary source of exposure for never-smokers.” (4). This means that despite being recorded below recommended exposure levels, the above materials can release metal nanoparticles that the user wouldn’t otherwise consume. Given this, it’s crucial to research what materials have been used in the vape you plan to buy to see if your dream piece hasn’t been made from inferior materials. If you want to minimize the risk of inhaling harmful heavy metals, choose a vape pen made from borosilicate glass or stainless steel, with a titanium heating coil and preferably cotton or quartz wick. The sourcing material should be listed on the box of your vape. Some individuals report sinus irritation, headaches, or nausea upon use, which is most likely caused by the allergy to propylene glycol and vegetable glycerin — the two main chemicals in CBD vape oil. In most severe cases of allergies, people can develop swelling, have difficulties breathing, and break out in hives. Fortunately, both vegetable glycerin and propylene glycol are so common in our lives that it would be impossible to not tell you’re allergic to one of them before trying to vape CBD. While there might be a slight concern for non-smokers about vaping CBD oil, the exposure to some contaminants is far less harmful compared to smoking cannabidiol products. While short-term and mid-term studies on the health impact of vaping show no significant dangers to users, we don’t know if the long-term use of vapes is entirely risk-free. Sometimes, this is enough to convince people that they should give up on vaping in favor of other consumption methods, such as oral and sublingual CBD. People can say what they want, but they can’t deny the fact that vaping is the fastest and the most efficient way to take CBD. With such high bioavailability, short onset time, and the lack of documented long-term side effects of vaping CBD oil, there’s no reason not to try it, especially if you need almost immediate relief from your symptoms. On top of that, CBD vapes are convenient, easy to use, and they come in different delicious flavors, from classic options like Moroccan mint to more sophisticated flavors, such as Hawaiian punch and more. Just make sure you always buy your CBD vape products from a trusted source; this applies to both the CBD and the vaping equipment. Read reviews, watch YouTube videos, join social media groups, or search for information and recommendations among your friends — simply put, leave no stone unturned and won’t regret entering the world of vaporization. Do we have any CBD vapers out there? What do you like about vaping in particular? Huestis M. A. (2007). Human cannabinoid pharmacokinetics. Chemistry & biodiversity, 4(8), 1770-804. A Schoedel, K., & Jane Harrison, S. (2012). Subjective and physiological effects of oromucosal sprays containing cannabinoids (nabiximols): potentials and limitations for psychosis research. Current pharmaceutical design, 18(32), 5008-5014. Farsalinos, K., Voudris, V., & Poulas, K. (2015). Are Metals Emitted from Electronic Cigarettes a Reason for Health Concern? A Risk-Assessment Analysis of Currently Available Literature. International Journal of Environmental Research and Public Health, 12(5), 5215–5232.